Having cold, clear, fresh and healthy drinking water is essential in the home as well as the office. Providing quality filtered water coolers, point of use water dispenser or filtered drinking water systems to your family or employees is a service that above all else makes economic sense. When you move on from the hassles of single serving bottled water you will discover a cost savings of 50% - 70% overnight! Making the switch from a bottled water stand to a point of use, or bottleless water cooler, filtration system can offer even more savings to both your time and bottom line. There are a few slight drawbacks to using a bottled water cooler is that billing can be unpredictable as your invoice changes depending on how much refreshing water is consumed. Storage space for new bottles of water needs to be arranged and each time your dispenser runs out of water, someone has to lift a heavy bottle. This can be back breaking as well as an inconvenience to your employees or your family. When you are using a point of use bottle-less water cooler or dispenser for your drinking water needs these are no longer concerns. It does not matter how much water you consume for drinking or cooking, your quarterly or monthly bills are the same every cycle. With no heavy bottles to store for later use or lift to change a point of use filtered water dispenser is pure convenience. Which ever style of bottled water cooler or dispenser you choose with your water delivery service rest assured that your bottled water has been tested and filtered to remove any and all harmful chemicals, additives or particles. There are a large variety of free standing water coolers, counter top dispensers, bottled water crocks or stands and point of use dispensers for you to choose from when starting your service. After choosing the style and design of water filtration unit that it right for your home or business you have the option to purchase or lease your unit. If the decision to lease is made the water delivery service then handles all equipment maintenance, as well as repairs. 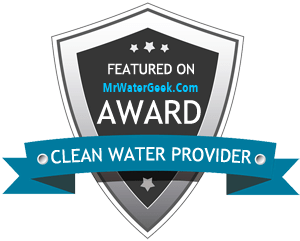 Yet another way that using a water delivery service for all of your drinking water needs makes your life run more smoothly. Contact your local filtered water delivery service today for a free quote on specialized services for your life or to set up a free trial in your office today!